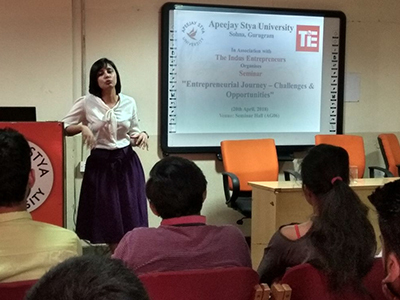 Gurugram, April 20, 2018: Apeejay Stya University jointly held a Seminar on 'Entrepreneurial Journey - Challenges & Opportunities' with TiE (The Indus Entrepreneurs), at the University campus. The invited entrepreneurs included Mr. 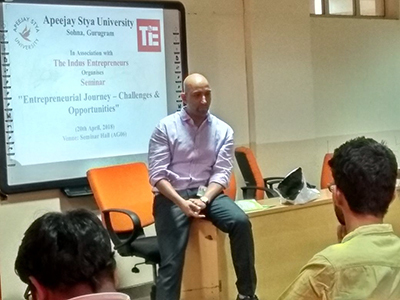 Deep Bajaj, Founder, Pee Buddy, Mr Sandro Stephens, Regional Head-Northern India, Indian Angel Network, Ms Shivaarti Bajaj, Founder, Go Parties and Mr. Gaurav Gupta, Co-Founder, Hello Travels. 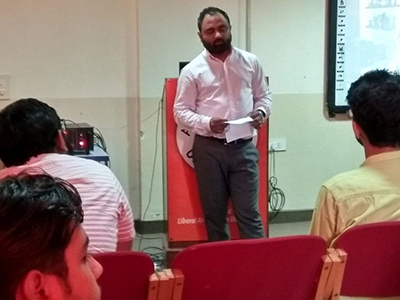 Each entrepreneur spoke about the hurdles they faced & overcame and how ultimately landed up as successful entrepreneurs.